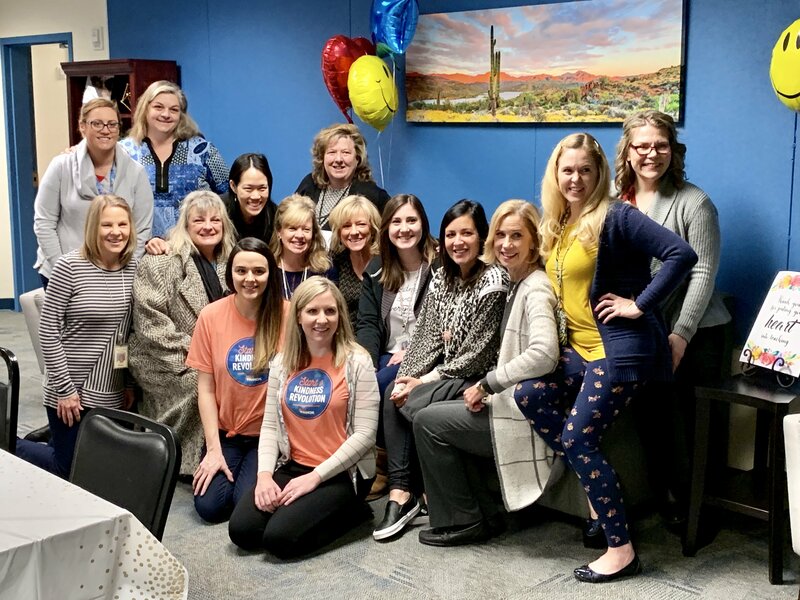 Desert Financial Credit Union recently surprised the teachers at Kyrene del Cielo Elementary with a repainted and refurnished teacher’s lounge. During the 2018 fall break, water from the fire sprinkler system flooded four classrooms. Insurance covered the damage, but staff worked through logistical challenges while classrooms were being redone. Parent Emily Liberatore heard what was happening and took action. 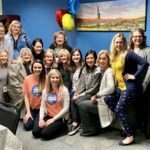 She submitted a request to Desert Financial’s “Random Acts of Kindness” program for funds to redo the lounge, who then teamed up with Ghaster Painting and Coatings to do the work. 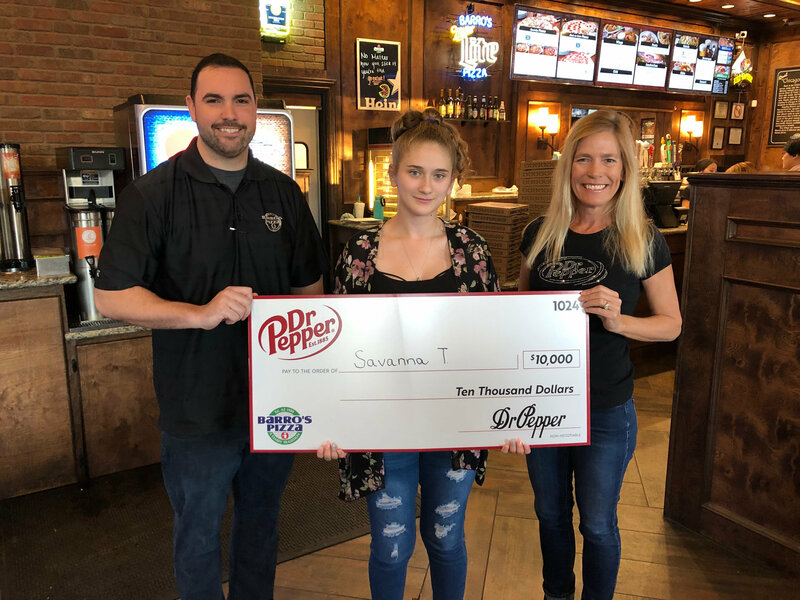 Barro’s Pizza, a local, family-owned pizzeria, recently awarded $10,000 to Mesa woman Savanna Taylor, the winner of the 2018 Dr Pepper Tuition Giveaway. The $10,000 prize money was awarded to one local resident to help pay college tuition or any related educational expenses. Taylor, 20, attends Mesa Community College and plans to transfer to Arizona State University to pursue a career in veterinary medicine. 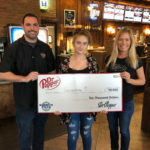 The Arizona Dr Pepper Tuition Giveaway is part of the national campaign. Submissions were open to all Arizona residents and a winner was chosen at random. Salt River Project (SRP) and the Better Business Bureau (BBB) recently honored nine Junior Reserve Officers’ Training Corps (JROTC) students as part of the inaugural BBB Ethical Cadet Scholarship program, including Emma Nelson. Nelson was awarded $1,000 for herself, and $1,000 for her JRTOC program at Basha High School. “Over the last few years, we’ve created a scholarship to honor and reward exemplary high school athletes, scholars and JROTC students who have a strong moral compass,” BBB President/CEO Matthew Fehling says. “We are excited to award the nine winning cadets as well as their JROTC programs with $1,000 each, totaling $18,000 in scholarships provided by SRP.” Arizona high school freshmen, sophomores and juniors who are enrolled in a JROTC program within SRP’s service area—while maintaining a GPA of at least 2.75—were eligible to apply and selected based on essay submissions. Voya Financial, Inc. (NYSE: VOYA) recently secured a 151,359-square-foot facility in Chandler for its new, permanent Metro Phoenix hub. The location at 1700 S. Price Road will employ more than 1,000 people once it is fully operational. When the permanent facility opens, Voya will cease operations at its temporary, 70,000-square-foot temporary site located at 1401 S. 52nd Street at the Tech Center in Tempe, and those jobs will transfer to Chandler. 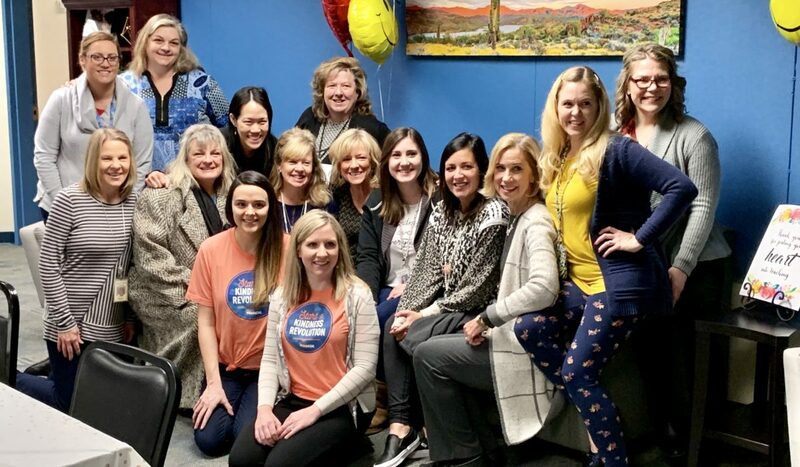 The company will continue to operate its existing Scottsdale office at 7337 E. Doubletree Ranch Road, where approximately 200 employees are based. Voya, a leading financial services firm that helps people plan for a financially secure retirement, will locate certain back-office and customer-support operations for its Retirement, Employee Benefits and Claim Administration groups, as well as human resources, at the Chandler facility. In addition, select additional Retirement and Learning and Development roles will be based there. 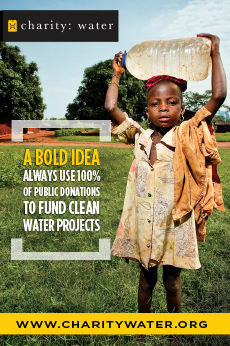 For more information, visit Voya.com. Chandler is seeking resourceful, inventive and style-savvy fashion designers to enter the city’s 5th Annual Trashion Fashion Show, a celebration of wearable fashion created from materials that might otherwise end up in the trash. Designers ages 10 years and older have until April 12 to register for this runway fashion show, which will be held at Chandler Fashion Center on May 11. Participants must be residents of Chandler, and entries will be accepted in three age categories: ages 10-13, 14-17 and 18-plus. Registration forms and more information are available at ChandlerAZ.gov/trashionfashion. A combination of trash and fashion, the Trashion Fashion Show provides participants with an opportunity to use their design skills to create and exhibit a garment created from discarded materials. At least 75 percent of a garment must be made from recyclable or reused materials that would otherwise be thrown away or recycled. Designers can choose to wear their garment in the show, or select a model. 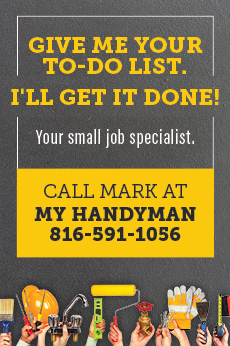 Chandler’s Solid Waste Services Division is organizing the event. In addition, prize donations are being accepted from local businesses. 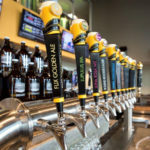 The newest brewpub on the block, Flix Brewhouse in Chandler, is already making a splash with its award-winning craft beers. 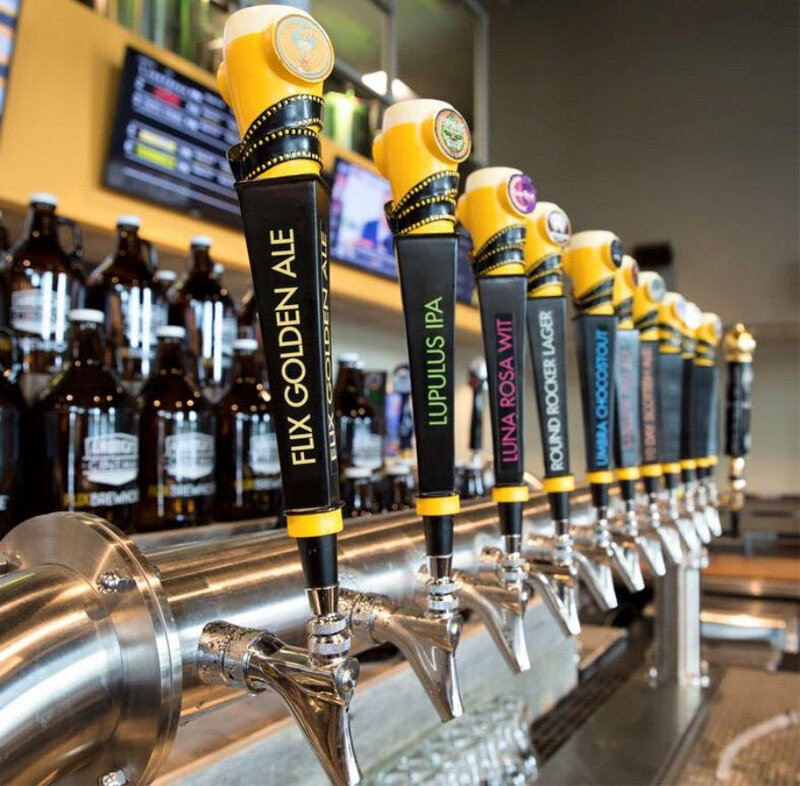 In fact, in Flix’s first month of business, moviegoers drank more than 1,700 pints of the brewery’s top two brews. That’s 214 gallons of beer, and that’s only counting Flix’s top two best sellers in the month of January. AZ’s beer enthusiasts gravitated towards Flix’s Luna Rosa and Flix Golden Ale, downing more than 830 pints of each. Head out to Serenity Bend Park, Ocotillo on Sat., April 13 between 9-10 a.m. for a photo with the Easter Bunny for kids of all ages—as well as leashed pets—and an Easter Egg hunt. Bring your camera to take photos for free or download free professional photos after the event. From 10-10:15 a.m. there will be an Easter egg hunt for kids ages 0-12. Areas will be sectioned off by age, and the hunt will begin promptly at 10 a.m. Bags to collect eggs will be provided. Bring your families and head out to meet your neighbors and enjoy a beautiful spring morning in the park! The event is sponsored by Amy Nelson with The Amy Nelson Team at Keller Williams East Valley; Kari Zurn, Your Loan Gal with Academy Mortgage Chandler; and Romy Miller with Great American Title Chandler-Ocotillo. Photography will be courtesy of David Apeji with Pixyst Premium Imaging. For more information, visit Facebook.com/OcotilloNeighborhoodNews. The Environmental Education Center (EEC) makes it easy to be green with its naturepalooza, celebrating Earth Day and Arbor Day. The eco-centric morning takes over the EEC and Veterans Oasis Park on Sat., April 13 at 9 a.m. For families looking for fresh-air fun, this environmentally friendly extravaganza honors Mother Nature with outdoor games, giveaways and educational demonstrations that teach the community easy and simple ways to live a more sustainable lifestyle. The free, fun-filled morning continues until noon with Earth Day-inspired arts and crafts and live animals on display, courtesy of Arizona Herpetological Association. Be sure to enjoy refreshing treats provided by Paleta’s Betty. You’ll also have a chance to exercise your green thumb when you stop by the Weeders Garden Club booth; they’ll have plants for sale, along with gardening tips for the season. For more information on the Earth Day Arbor Day celebration or the EEC, call 480-782-2894 or visit ChandlerAZ.gov/eec.